Digital marketers love attending conferences for a simple reason: they are one of the best investments they can make. Conferences allow marketers to learn from the most prominent experts about the latest industry tips as well as meet with their peers and grow their professional network. With the number of conferences held every week around the world, it's hard to decide which ones you should attend. To help you choose, here’s a list of the best 26 digital advertising conferences you should attend in 2018. Note: Some of the events' dates and locations for the third and fourth quarters of 2018 aren't confirmed yet. Click here to copy the list. Price: There's only one ticket which includes all the keynote presentations, all panel sessions, and workshops, currently priced at $295 for the Super Early Bird buyers. Programmatic advertising is one of the hottest topics in the digital marketing industry. Programmatic World Forum focuses their talks and workshops exclusively on every topic related to the programmatic advertising industry. With over 200 attendees and 20 guest speakers, the Programmatic World Forum is the cheapest conference on this list. Price: The Full All-Access Conference Pass, which includes full access to all conference sessions and events as well as breakfast, lunch, and breaks, costs $449. One of the first digital marketing conferences, PubCon is an event where digital marketing professionals get together to learn how to market and manage commercial websites for themselves or clients. The conferences include talks about SEO, PPC, Social Media, conversion rate optimization, affiliate marketing, and more. Since their inception, the PubCon event has attracted over 30,000 attendees. Price: The Full All-Access Conference Pass, which includes full access to all conference sessions and events as well as breakfast, lunch, and breaks, costs $1,597. Experience three phenomenal days with the best social marketers, discover the latest tactics, and master social media in 2018. Join 5,000 fellow marketers and creators at the mega-conference designed to empower you with business-building ideas—brought to you by Social Media Examiner. Price: From $49 for access to the Exposition hall only to $1,895 for the all-access full-conference pass. Since its inception in 2007, the Search Marketing Expo has been one of the leading conferences in the search engine industry. SEO and PPC specialists can learn actionable tactics throughout the sessions and training workshops held. The SMX, organized by Search Engine Land and MarTech, is made up of four events, two in the West Coast, one in the East Coast, and one in Europe. Price: From €120 for access to the SMX Expo+ Pass, which includes selected sessions and access to the exhibition hall, to €2355 for the SMX Gold Ticket. Price: Prices range between $1,299 and $1,599. Covering topics from analytics to search engine optimization, the Search Love conference features an even amount of experts from agencies, such as and Portent, SEER Interactive, and Brainlabs, and software companies, like Search Metrics, Moz, and Litmus. The conferences, run by Distilled (a British digital marketing consulting company), are held three times a year, once on the East Coast, one on the West Coast, and one in London. Price: Prices range between $1,595 and $1,995. Programmatic I/O is the largest conference focused on programmatic media and marketing. Held twice a year in San Francisco and New York, these conferences feature more than 70 industry speakers and a group of networking events which attract between 1000 to 1500 programmatic marketing executives from companies like IBM, Nielsen and The Boston Consulting Group. Price: Prices range from $25 for the exposition floor access only to $849 for the Platinum All Access Pass. Price: Prices range from €182.99 – €402.59. Data emerging from surveys say that over 99% of previous edition participants will recommend friends/colleagues to attend. Our primary goal here is not to make money out of this conference or to have visibility, but to organize the best PPC & CRO event in the world. Price: Prices range from $1,700 to $2,875. 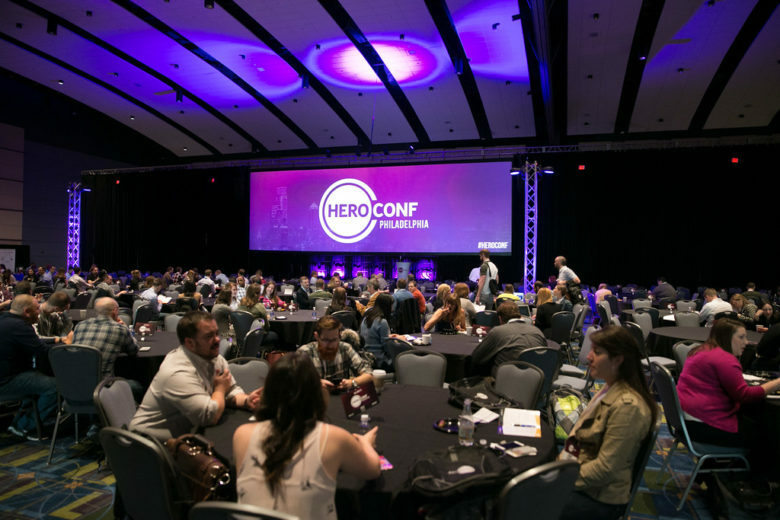 Organized by the award-winning PPC agency Hanapin Marketing, Hero Conf is the largest conference specific to the PPC industry. The conference runs twice a year: in Austin during the first semester, and in London during the second one. Speakers include experts from all the most prominent ad networks, advertisers, and technology companies, including AdStage. Ad Summit was designed for digital advertising executives to implement best practices & strategies, expand their markets and generate new revenue stream. Sophisticated and fast-growing digital marketing environment is all about programmatic, mobile and video. See what you can get from intensive 2-day conference schedule. Price: From $199 for the Networking Pass only to $2,995 to the All Access + Workshop Pass. Join some of the world’s leading thinkers in online marketing for two days of ideas and inspiration. This conference will discuss the latest in search, analytics, content creation, optimizing your website, paid promotions and more. Price: Unlike other conferences, there's only one ticket for everyone with the same benefits. Moz's subscribers can get the ticket at $1.049, while those who aren't subscribers get it at $1.549. Moz is one of the most popular SEO tools in the online marketing industry. 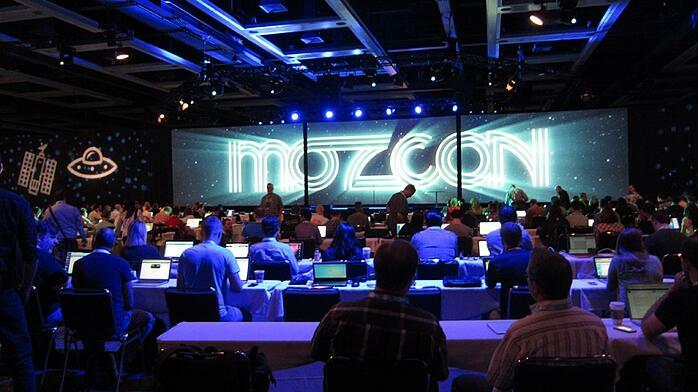 Their conference, MozCon, is a three-day event full of actionable sessions covering topics such as SEO, conversion rate optimization, analytics, customer experience, social media and content marketing, among others. The event is focused on providing the latest advice to help marketers rank higher in the evolving search engine results as well as learn how to make data-driven decisions. Price: The entry-level price costs $599, and includes all the keynotes and networking events. The all-access pass, also includes workshops, special sessions, and free lunch, costs $1,699. They also offer a VIP Pass at $1,999 including a hotel room, faster check-in, and premium reserved seating, among other things. While some of the other conferences on this list focus on specific marketing channels like PPC or SEO, the INBOUND conference specializes in the inbound marketing industry as a whole. Run by Hubspot, one of the largest CRM and marketing software providers for marketing and sales, the talks and workshops are focused on every subject related to online marketing and sales, including social media, analytics, branding, sales management, and paid online advertising. Past speakers have included marketers such as Seth Godin and Gary Vaynerchuk, executives like Arianna Huffington, and celebrities like Serena Williams and Alec Baldwin. In 2017, the keynote speakers were Michelle Obama and Piera Gelardi (Co-Founder of Refinery29). Price: Prices start at £1,350. Price: From $599 for a one-day conference pass to $2,995, which includes all access to the talks and workshops. Price: There are four 2-day options worth $1,995, the Programmatic Essential workshops, the Programmatic Ops Talks workshops, the B2B Marketing workshops, and the Programmatic 101 workshop. Price: Prices range from £899 to £1,149. Price: Prices start at $100 for the exhibition hall only, and go up to $1,395 for the All Access Pass, which includes access to all keynotes and all-conference streams. Price: From $2,895 to $4,795. The Digiday Programmatic Media Summit is a conference with a unique perspective. While most conferences about programmatic advertising focus on the network side of the industry, the Digiday Programmatic Media Summit focuses exclusively on the way publishers are using their tech stacks. Held once a year in New Orleans, this event has featured speakers from media companies like The New York Times, Condé Nast, and ESPN, among others. Price: The tickets start at €708 for the Workshop only, €1,065 for the Conference only, and €1,184 for the All-Access pass that includes both the workshops and conference. 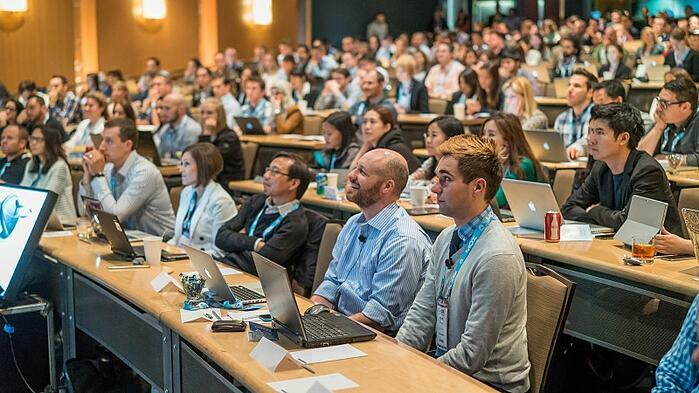 Native Advertising Days is a conference focused on publishers and marketers who work with native advertising. The conference features talks on a diverse range of topics, such as the future of native advertising, the latest trends in the industry, the latest programmatic platforms, user experience, and much more. Price: There's one Full Access pass worth £599, which includes access to all keynote and breakout sessions. There's also the Networker Package pass for £3500, which includes branding as sponsor on on-site, website and digital event guide, and 2 full access delegate passes with 2 complimentary invites. There are countless events around the world where you can meet Fortune 500 executives, but few feature the quantity and quality as the ad:tech conferences. The talks and workshops focus on the intersection of the marketing, advertising, and media industries, giving a unique blend to the conference. Past events have hosted executives from eclectic group of companies such as Intel, Hulu, McDonald's, SAP, Oracle, GlaxoSmithKline, and more. ad:tech hosts events in cities around the world such as San Francisco, New York, London, New Delhi, Shanghai, Tokyo, Singapore, Melbourne, and Sydney. Online marketing conferences are a great way to keep up-to-date with the latest industry news and techniques. They keep you in a constant state of learning, open to new ideas and willing to try new tactics (plus, they’re a lot of fun). The 26 conferences on this list will help you become a better marketer and grow your network, which in turn will make you a more productive member of your company.